I know I’ve said this before, but I LOVE salads. My confession though is that I don’t like the lettuce or spinach so much as all the fun things that you can top it with that make salads so variable. In fact, this week when I asked Mike if he wanted me to make him a few salads for lunch his response was, “As long as I can put my fork into it without everything falling out of the container” because I tend to get carried away with toppings. You can get an Asian salad at pretty much any restaurant. The problem is that you’ll pay way more than it actually costs to make it at home (much like everything else.) 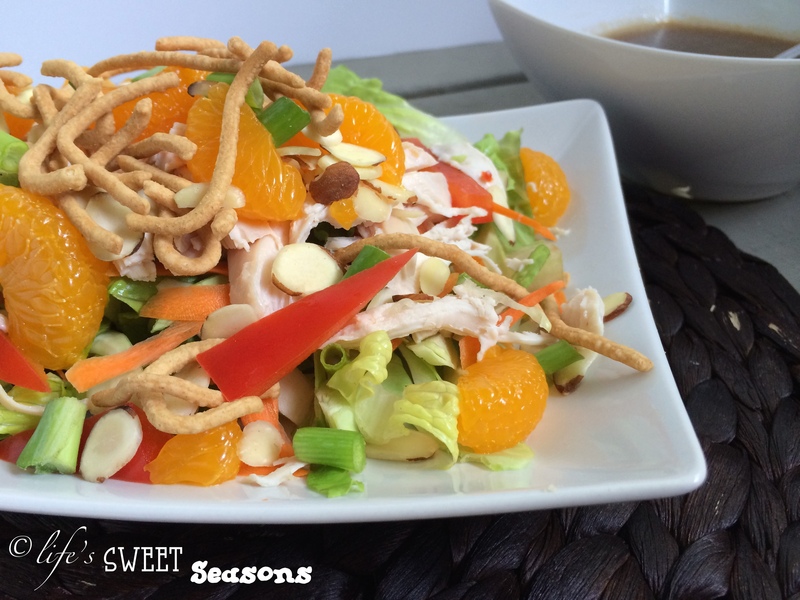 This salad is a go-to any time of year because the ingredients aren’t seasonal. The canned mandarin oranges can always be found and hopefully you have a Sam’s Club close by where you can get a cheap rotisserie chicken to pull apart in a jiffy. Add shredded lettuce and cabbage to a large bowl. Peel carrot into the bowl and stir. Add bell pepper & chicken and toss to combine. 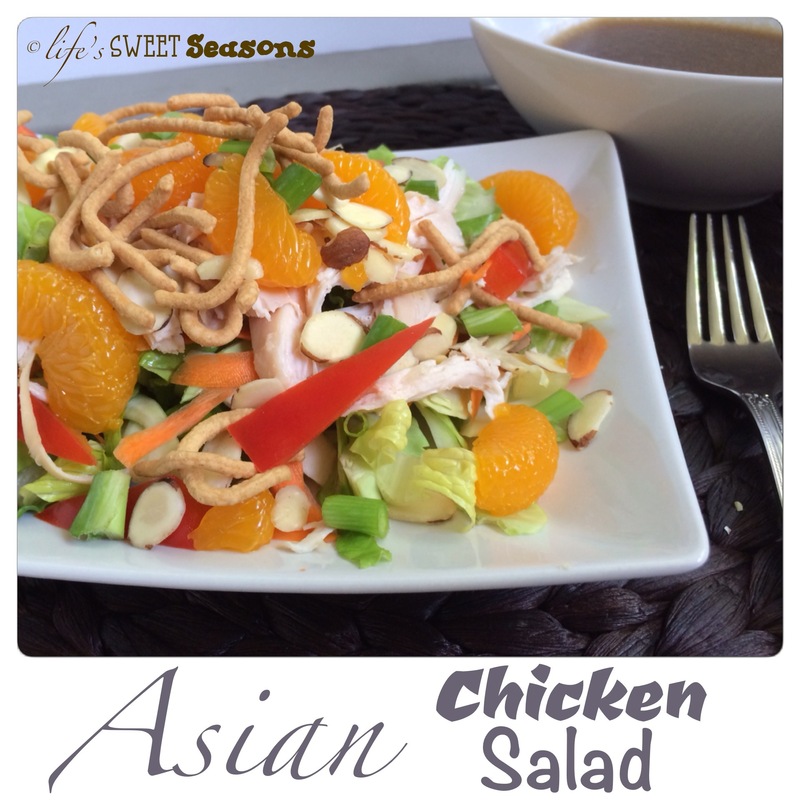 Top salad with mandarin oranges, green onions, slivered almonds and chow mien noodles. 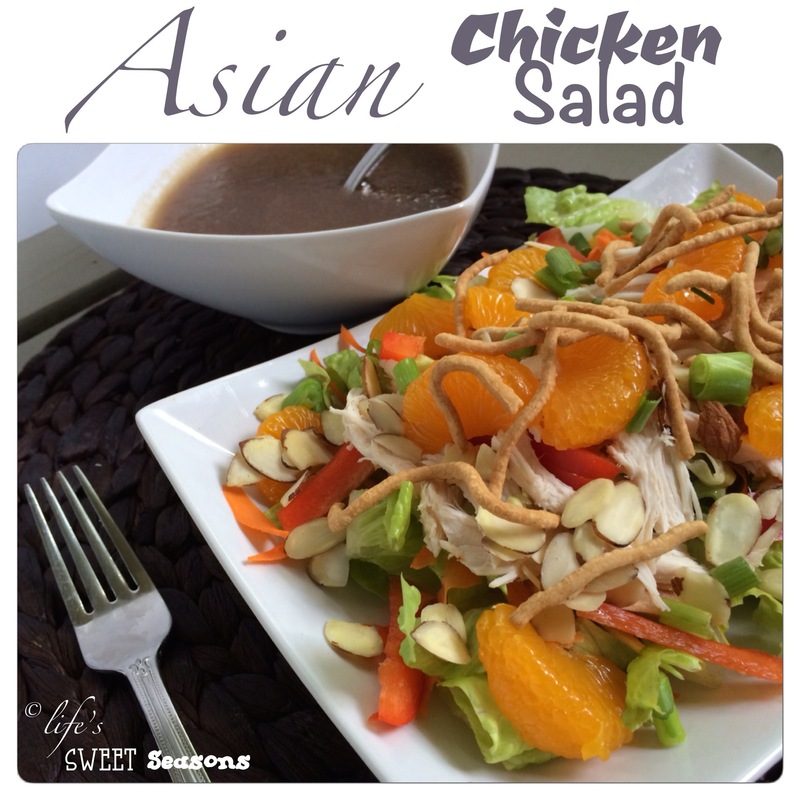 Serve with Asian Salad Dressing.